Today Apple is launching iOS 10, and a marketplace within its messaging platform iMessage. So it’s high time to get updates from StickerPipe, an independent marketplace for emotional content for messengers that we covered a year ago. Every day users send some 100,000 units of content through Stickerpipe. Each content type – Emoji, Stickers, and Stamps – has its own range of application. For example, Emoji is used to replace words in the sentence or enhance the intonations, whereas a sticker can convey an emotion and serve as a substitute for the entire message. Stickers are not only the content but also an up-and-coming advertising medium. Many major brands, including Pepsi, Starbucks, Burger King Dove, are already represented by sets of stickers or emojis. This summer, Stickerpipe introduced a new type of content – Stamps, or stickers on the photos. 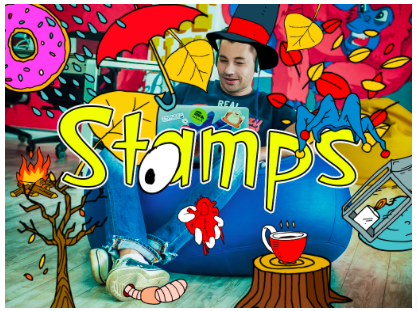 Users can make a funny selfie, create their own illustration and tell a whole story with the help of thematic sets of Stamps. Snapchat made Stamps popular by allowing users to add small pictures to their photos and videos; other instant messengers started to actively adopt this technology. The new version of ICQ instant messenger, which is working hard to recreate its former glory, will integrate Stickerpipe Stamps technology, which recommends stamps based on user location, content in the pictures and keywords. Today, September 13th, can be seen as an important milestone for a messaging content market. With iOS 10 update, Apple launched a marketplace right within iMessage, adding stickers to their ecosystem of distributed digital goods, such as games, music, videos, and books. Stickerpipe was one of the first to offer a new service that allows anyone to add stickers to iMessage by the time of iOS 10 release. The app is in open beta now and available at the AppStore. If Apple’s idea to embrace micro-content is a success, Android will follow suit, and given the popularity of stickers in Asian countries, this kind of marketplace for content for messengers may become a new game changer, as it happened once with the App Store.